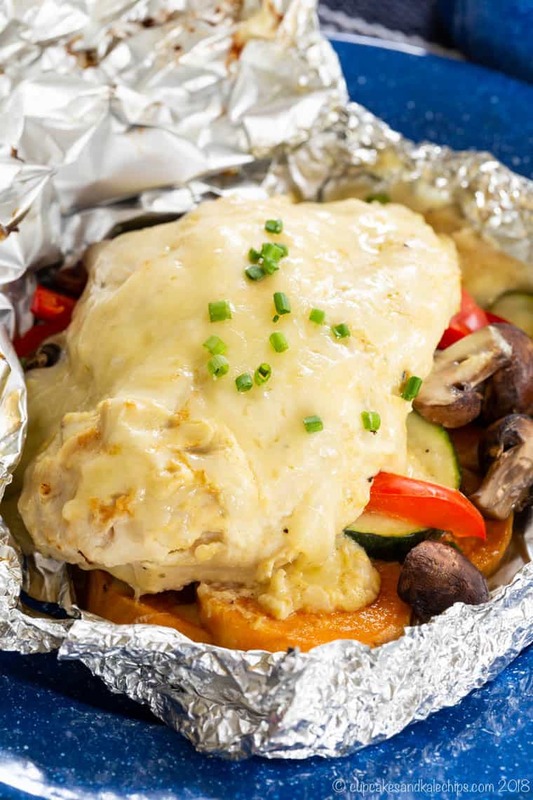 Chicken foil packets that you can cook on the grill or in the oven filled with veggies and a creamy, tangy sauce and melted cheddar cheese make dinner easy to prepare and even easier to clean up. 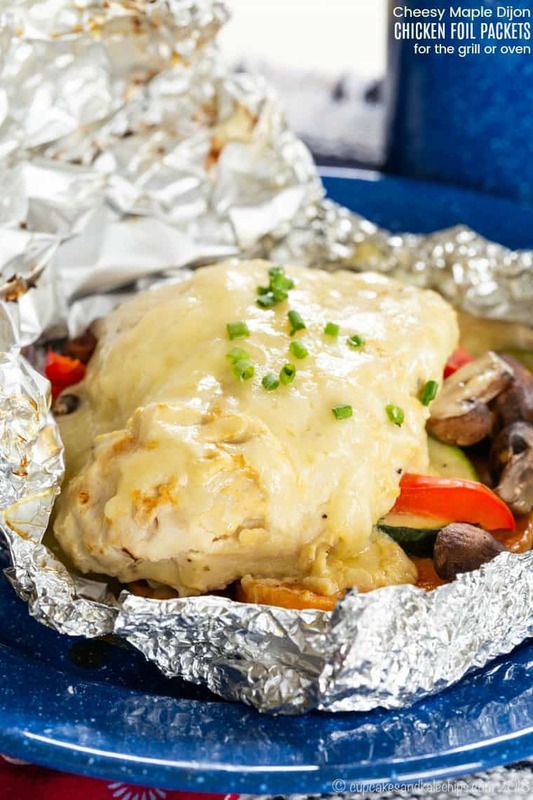 Chicken foil packets that you can cook on the grill or in the oven make dinner easy to prepare and even easier to clean up. 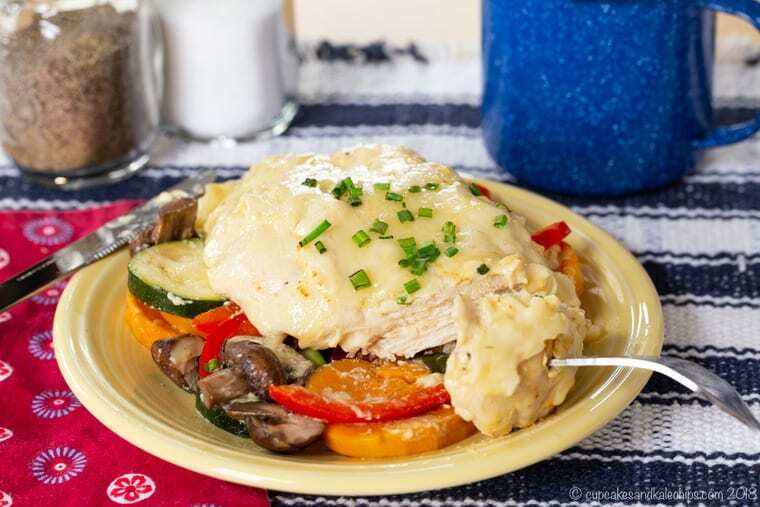 These chicken foil packs are filled with veggies and a creamy sauce flavored with maple syrup and Dijon mustard for a tangy, slightly sweet flavor that the whole family will love, especially because the chicken and vegetables are also covered with melted cheddar cheese. 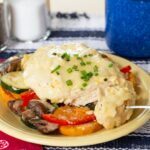 Whether these become a summer staple that you grill or a family favorite all year round when baked in the oven, you are going to love Cheesy Maple Dijon Chicken Foil Packets with Veggies. Boneless skinless chicken breats are marinated in a simple mixture of maple syrup, Dijon mustard, and Greek yogurt to make them moist and flavorful. Then they are wrapped up in aluminum foil with a delicious mixture of veggies, and grilled or baked. 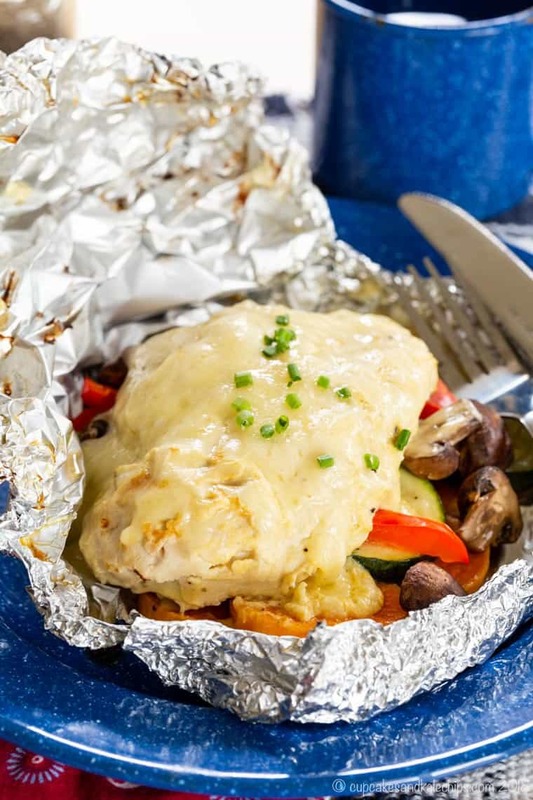 The chicken foil packs are opened up towards the end of the cooking time, topped with more of the creamy maple Dijon mixture and plenty of Cabot cheese, and popped back on the grill or in the oven until the cheese is melty and delicious. Serve on a plate or just eat right out of the foil, and cleanup will be a breeze. I really need to grill more often. I mean, we do grill quite a lot over the summer, but by “we” I actually mean my hubby. You see, he can grill a flank steak to perfection, so I’d rather leave the job to him. Well, he always says that I’m the Head of the Kitchen, but he is the Grill Master. So who am I to jump in on his turf? That means I can whip up the marinade for, say, Orange Saffron Chicken Legs, then just send him out on a hot summer evening to stand over an even hotter grill while I’m inside the nice, air conditioned kitchen making side dishes. Did I just say that? I’m the worst. But even on a weeknight when I’m making dinner before he gets home from work, it can be a pain to be running in and out tending to the grill while getting the rest of the food ready inside, taking out dishes and silverware and all of that stuff while making sure my kids aren’t screaming at each other or destroying everything in their paths. You will have to plan ahead just a wee bit because the chicken needs to marinade at least an hour. But you can always put it in the marinade the night before or before you head out the door in the morning. To save even more dishes, just dump the marinade ingredients in a plastic bag and squish it around to mix it up before you add the chicken to the bag. 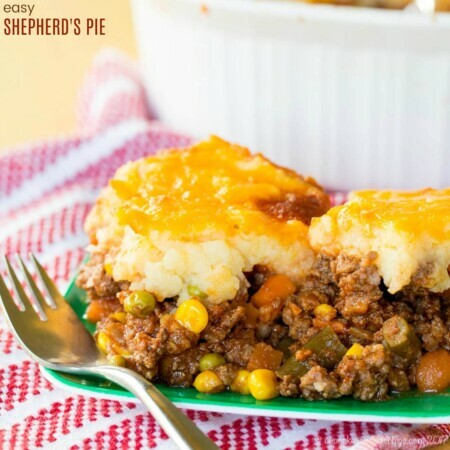 I used mushrooms, zucchini, sweet potatoes, and red peppers for a nice balance of colors and flavors, with the sweet potatoes to make it a little more filling. But you can always switch those up to your favorites use potatoes instead of sweet potatoes, or keep it all veggies for a lower carb option. Try to cut your vegetables to similar sizes so they cook evenly. Softer veggies like mushrooms and zucchini can be cut larger than the sweet potatoes. Heavy Duty Aluminum Foil is recommended, but you can double up the layers of regular foil if that’s all you have. The cooking time will depend on how thick your chicken breasts are. If your store sells the ginormous ones, you’ll only need two sliced in half horizontally. The chicken foil packets cook equally well on the grill or in the oven, so do what you please! Just be sure to use a meat thermometer to make sure the chicken is cooked through to 165°F. If you need another side dish, it would be perfect with some Cauli-Tots. Then all you have to do is just slide the contents of the packets onto a plate and enjoy! And let me tell you, my family totally enjoyed this dinner. There isn’t much better than grilled chicken and fresh veggies in the summertime, but when you add the tangy bite of Dijon mustard and a hint of sweetness from real maple syrup, you really pack some flavor in these tasty packets! 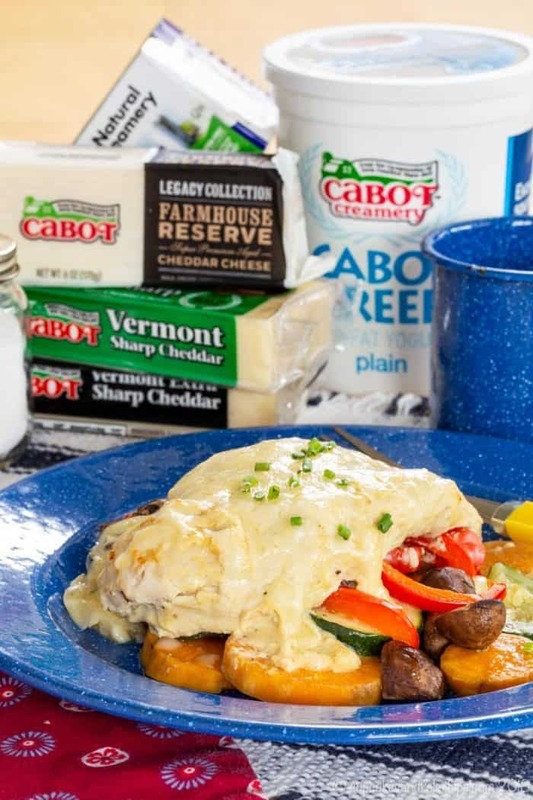 Cabot, the maker of award-winning cheddars since 1919 may be known for the World’s Best Cheddar, but they have a full line of award-winning dairy products. 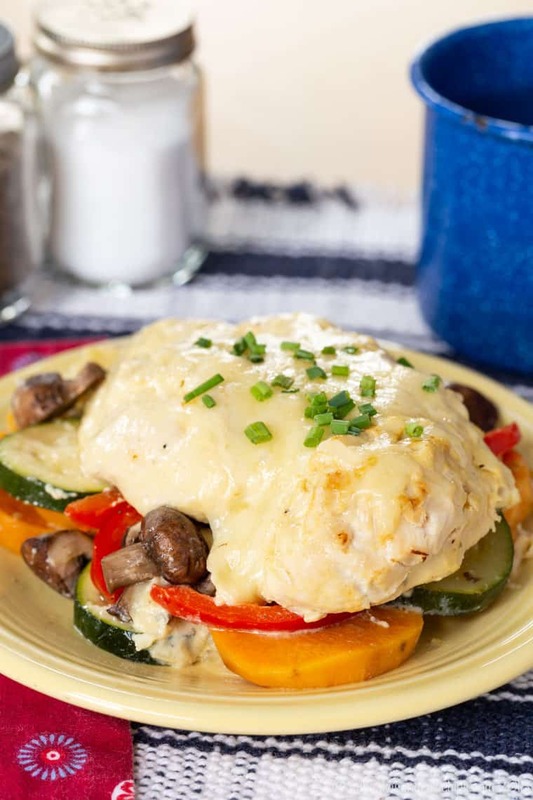 In this recipe you’ll find Plain Lowfat Greek Yogurt in the marinade which helps tenderize the chicken, and then some of the marinade is reserved for a deliciously creamy sauce on top. The veggies are dotted with just a bit of Salted Butter to make them totally sumptuous. And of course you can’t have a perfectly cheesy recipe without the very best cheese. These Maple Dijon Chicken Foil Packets are topped with Cabot Extra Sharp Sharp Cheddar to add that gooey goodness you love plus the amazing sharpness that truly stands out against all of the other flavors in this dish. But you can use your favorite Cabot cheese, from Vermont Sharp to the Legacy Collection Farmhouse Reserve. Whatever cheese you choose, you’ll taste Cabot’s commitment to making the best products in every bite. 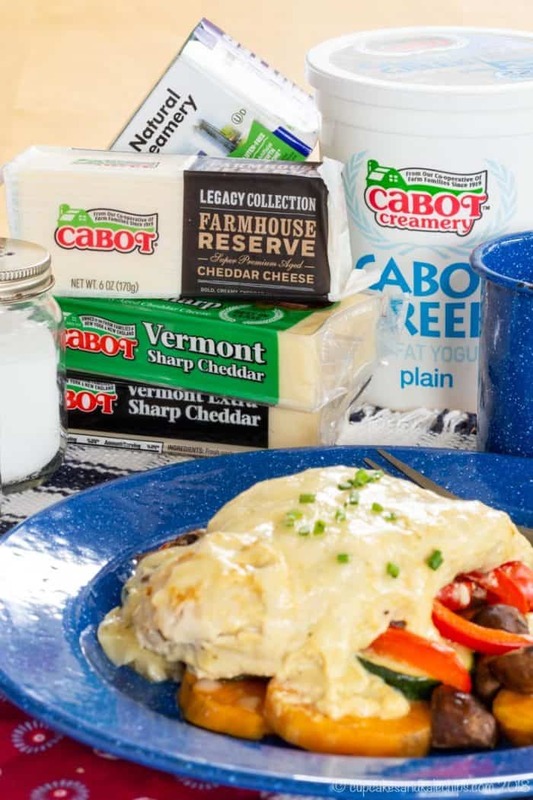 Want some more cheesy dishes to make with Cabot cheese? 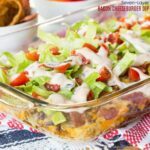 Bacon Cheeseburger Seven Layer Dip has all the best parts of the burger in one hot, ooey gooey dip. 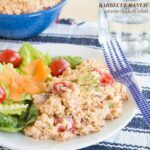 Barbecue Ranch Quinoa Chicken Salad makes a cool dinner for a hot summer day. Chicken Enchilada Skillet is another recipe to help minimize the cleanup since it’s made in one pan. 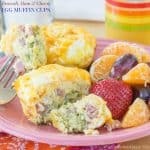 Broccoli Ham and Cheese Egg Muffin Cups are the perfect prep-ahead breakfast, brunch, or brinner. 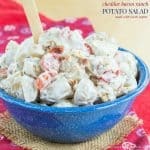 Cheddar Bacon Ranch Potato Salad is a super tasty summer side made with Greek yogurt and cheddar. Summer barbecues need sides like this Baked Potato Salad with Bacon and Cheese from FoodieCrush. 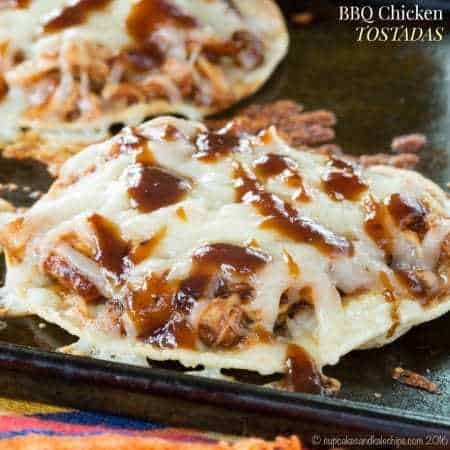 BBQ Chicken Burgers stuffed with cheddar from A Mind ”Full” Mom are another amazing chicken and cheese combo. While this chicken foil packets recipe is sure to be a summertime staple, you can make it all year long by baking them in the oven instead of tossing them on the grill. 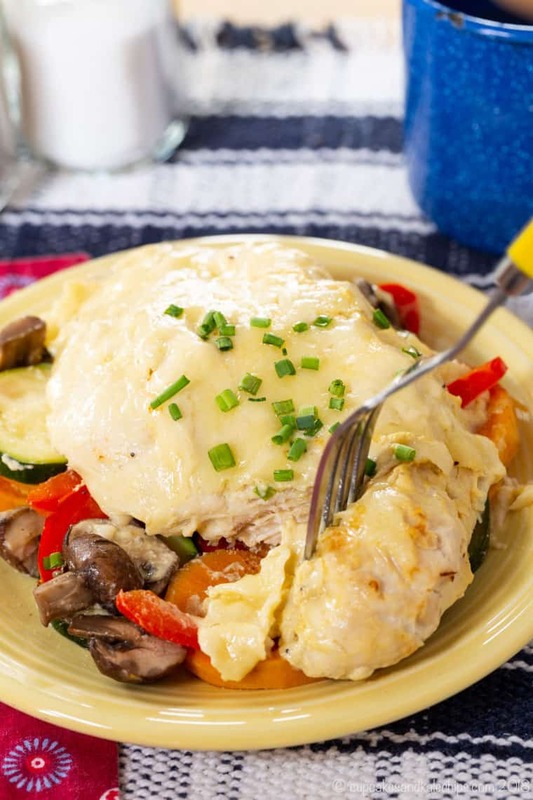 With sweet and tangy flavors perfectly complemented by the bite of sharp cheddar cheese melted on top, these definitely are not just boring boneless skinless chicken breasts. 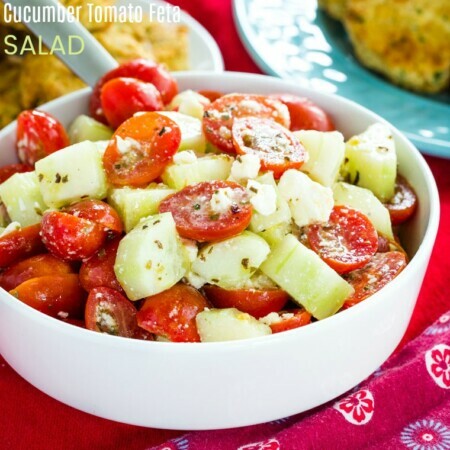 And the fresh summer veggies make this dish even more delicious, colorful, and wholesome, though you could swap this mixture of sweet potatoes, zucchini, mushrooms, and red bell peppers for your favorite vegetables. Combine the olive oil, maple syrup, Greek yogurt, and Dijon mustard in a small bow, and stir until thoroughly combined. Place the chicken in a plastic zipper bag and pour about half the mixture over the chicken. Seal the bag and massage to coat the chicken. 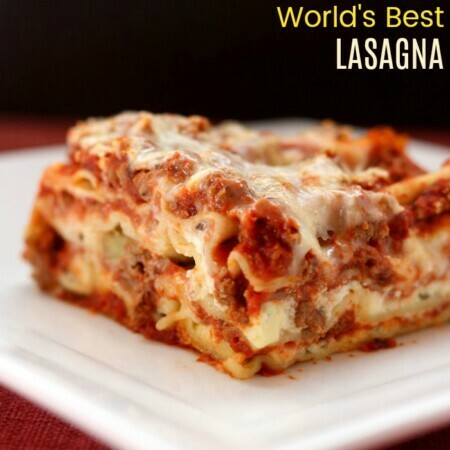 Refrigerate at least 1 hour or up to 24 hours. Reserve the rest of the maple Dijon mixture. Preheat your oven to 400°F or your grill to medium-high, about 400°F. Cut four (18x12-inch) sheets of Heavy Duty Aluminum Foil and spray with cooking spray. Divide the vegetables between the sheets of foil. Dot with butter and sprinkle with salt and pepper. 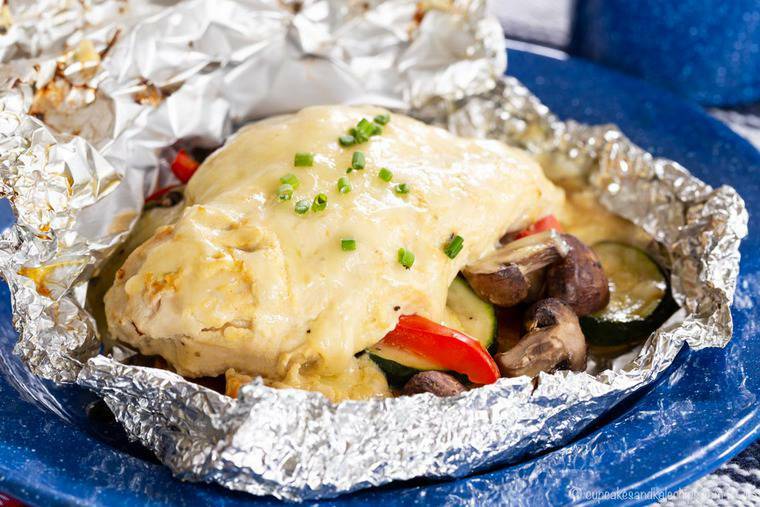 Remove the chicken from the bag and place one chicken breast (or chicken breast half) on top of the veggies on each foil sheet. Place foil packets on the grill for 20-25 minutes or in the oven for 25-30 minutes, or until chicken reaches an internal temperature of 165°F (exact timing will depend on the thickness of your chicken). Open the foil packs and top each with about 2 Tablespoons of the remaining maple Dijon mixture and 1/4 cup shredded cheese. Leave on the grill or in the oven for another 2-3 minutes or until the cheese has melted. Remove foil packets from the grill or oven, and top with chives or green onions as desired and serve.